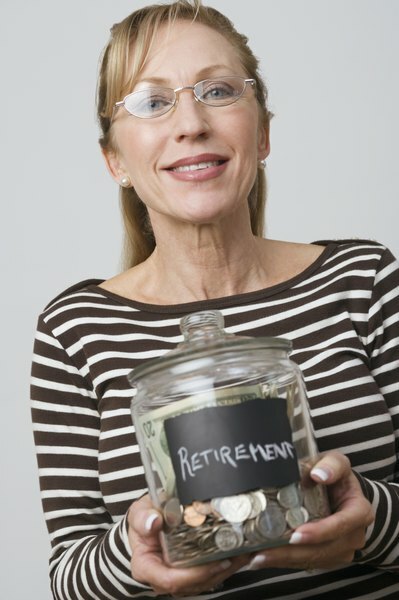 A self-employed person can accelerate retirement savings with a SEP IRA. A simplified employee pension plan allows self-employed people to save money tax-free and cut their business taxes. SEP income and contribution limits run much higher than other kinds of retirement plans, with the exception of the solo 401(k). The Internal Revenue Service limits the amount of income you can consider when making contributions to a SEP IRA. You can make contributions for yourself and your employees. You can consider up to $250,000 of income when setting percentages for SEP contributions, as of 2012. For example, if an employee elects to have 10 percent of wages put into a SEP and that worker makes $250,000, the contribution would be $25,000. However, if the employee makes $300,000 with a 10 percent contribution rate, the contribution would still be $25,000. The extra $50,000 of income cannot be considered for SEP contributions. If you own a corporation, the most you can contribute for yourself or any employee is 25 percent of wages. For example, if an employee wants to set aside $50,000 a year but only earns $100,000, the most you can set aside for that worker is 25 percent, or $25,000. If your business is unincorporated, your percentage limit is 20 percent of wages. The most you can put into a SEP IRA for anyone, including yourself, is $50,000. This limit applies no matter what an employee earns or what percentage that employee sets aside. For example, if you make $300,000 and set aside 25 percent of your income, you would be on a pace to set aside $75,000 for the year. However, you would have to stop contributions when you reach the $50,000 limit. Net adjusted self-employment income applies to unincorporated businesses. If you make contributions for yourself, your percentages apply to this amount. This means you can deduct all business expenses and half of your self-employment taxes. Then, as an unincorporated entity, you can set aside up to 20 percent of your earnings. For example, if your business had a gross income of $200,000 and expenses of $50,000, you could set aside 20 percent of $150,000, or $30,000. Can I Make a SEP IRA Contribution & a Traditional IRA Contribution in Same Year?